"At a high-level briefing at the Federal Aviation Administration on March 28, officials revealed "black box" data from Ethiopian Airlines Flight 302 indicated that the Boeing 737 MAX's flight software had activated an anti-stall feature that pushed the nose of the plane down just moments after takeoff. The preliminary finding officially links Boeing's Maneuvering Characteristics Augmentation System (MCAS) to a second crash within a five-month period. 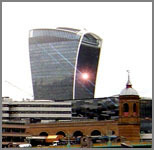 If there was ever an illustration of the human mental interpreter at work, it may be this PR statement about damage caused by reflections from a curved building: “The phenomenon is caused by the current elevation of the sun in the sky. This book shows how societies and individuals can be victims of their own success, often unconscious of the effects of ingenuity on their environment. When changes are man-made and harmful, a downward spiral begins: development that excludes solutions to problems that arise from development. Read more about "A powerful analysis of our situation"
Summary: We humans are very adept at creating systems, institutions and cultures which insulate and isolate from our surroundings. While learning is one of our species' special skills, under certain circumstances it fails. A progress trap is one of them. Innovation has unpredictable results that often defy solutions. Science creates unknown factors: pollution and disease, climate instability. Subjugating nature is part of man's culture, but while science has given us powers for dominating nature, it is weak in the area of observing and retreating from mistakes. Read more about 10. Excuses, excuses. On September 20, 2016, three hundred and seventy five members of the National Academy of Sciences, including 30 Nobel laureates, made history. They published "An Open Letter Regarding Climate Change From Concerned Members of the U.S. National Academy of Sciences." Their main concern was that in "the Presidential primary campaign, claims were made that the Earth is not warming, or that warming is due to purely natural causes outside of human control." From PBS: An operators' manual helps keep your car or computer running at peak performance. 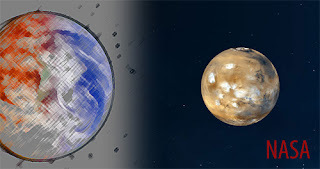 Earth science can do the same for the planet. Join host Richard Alley – registered Republican, geologist, former oil company employee and expert on climate change and renewable energy — on a high-definition trip around the globe to learn the story of Earth's climate history and our relationship with fossil fuels.